The Lake District is home to some wonderful performing arts venues, featuring theatre, dance, comedy, opera, musical performances, and more. 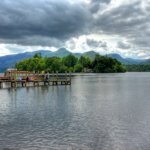 Keswick’s Theatre by the Lake, for example, not only hosts regular performances, but is also home to plenty of great events, such as the Keswick Jazz Festival, the Keswick Mountain Festival, the Keswick Beer Festival, and Words by the Water. The venue is situated on the picturesque Derwent Water and is popular amongst both visitors and locals. 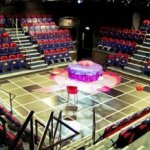 The Old Laundry Theatre in Bowness-On-Windermere is best known for being one of the venues used as part of world premier tour of plays by Sir Alan Ayckbourn, with a new play every year. The theatre shares a building with the World Of Beatrix Potter and hosts several events throughout the year including classic and modern plays, music nights, film evenings, and stand-up comedy. Offering a unique lakeside location, Keswick’s Theatre By The Lake has been in operation since 1999 and is popular amongst locals and visitors thanks to its repertoire that extends much further than a traditional theatre. Along with regular performances of classic and modern plays the theatre hosts a number of festivals and visiting companies throughout the year and it also has a delightful café bar.